Lisa made her feature film debut as the young 'Julia' in Fred Zinnemann's JULIA sharing the title role with Vanessa Redgrave, her television debut as the ingénue in the Hallmark Hall of Fame production of THE COUNTRY GIRL with Jason Robards and Shirley Knight, and her theatrical debut starring as 'Wendla' in SPRING'S AWAKENING with the Circle Repertory Company in New York City. With numerous credits and awards in theater, television and film, it is amazing to learn that it was just a twist of fate that brought Lisa to an acting career in the first place. Although she had been seriously interested in dancing and fine art from an early age, surgery in high school to remove a bone tumor from within the bone marrow of her leg cut short all possibilities of her dream of being a prima ballerina. On a dare, she applied to The Juilliard School of Drama, which also has a prestigious dance division. She had never acted on stage before her Juilliard audition. On the basis of her very first audition, she was not only accepted, but also offered a full scholarship. During her first year at school, Lisa was cast in the Hallmark Hall of Fame production of THE COUNTRY GIRL starring Jason Robards, Shirley Knight (and fellow actor John Lithgow). Then, Czechoslovakian film director Jan Kadar made a plea to John Housemann, Juilliard’s school director, to release Lisa for a PBS film he was directing. Juilliard forbids students working before graduation, but Mr. Housemann became Lisa's biggest supporter and mentor, and allowed Lisa to juggle classes and acting jobs. Besides various forms of dance, Lisa has always had an active physical life. She is a 5.7 rock climber, has won swim team awards; and enjoys sailing, yoga and horseback riding. She has performed many of her own stunts in her films. Hobbies include fine art painting with oils, acrylic, and watercolors; sketching with pencil and charcoal, and works with pen and ink. As a child, Lisa was raised in Italy, Japan, and France where her father was the financial attaché for the US government, and Ambassador to the Organisation for Economic Co-operation and Development (OECD); and her mother was a prominent social psychologist. Growing up she endured the trauma of being raised with the name 'Pelikan' which is always misspelled as 'Lisa Pelican', 'Lisa Pelligan', 'Lisa Pelian', 'Lisa Pellikan', or 'Lisa Pellican'; and having curly red hair. Now she enjoys her odd name, her red hair, her two strong, healthy, beautiful, legs, and her acting career. Among her honors: Best Director: ADA (Artistic Director Achievement Award) for directing "'night, Mother" at The Interact Theatre Company; both lead actors were nominated, and one received Best Actress. 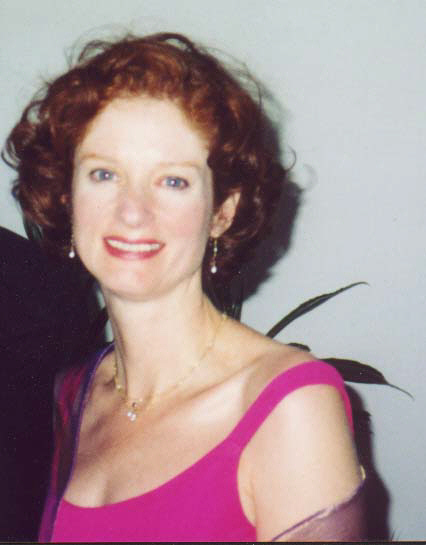 Best Actress In A Comedy: ADA (Artistic Director Achievement Award) for her leading role in the world premiere stage production of "Panache"; Outstanding Performance: Drama-Logue Award for her one- woman performance in the world premiere stage production of "Only A Broken String of Pearls" (now called "Zelda") portraying the life of Zelda Fitzgerald; Best Ensemble Performance: L.A. Drama Critics Award for her work as Breda in the premiere west coast stage production of Enda Walsh's "The New Electric Ballroom." L.A. Drama Critics Award for her work as Libby in the premiere west coast stage production of Craig Lucas' "Blue Window"; Best Actress: International Science Fiction and Horror Film Festival for her leading role in the feature film, "Jennifer"
For a complete list of Lisa's credits, please click on the link below and open the page called: career history.